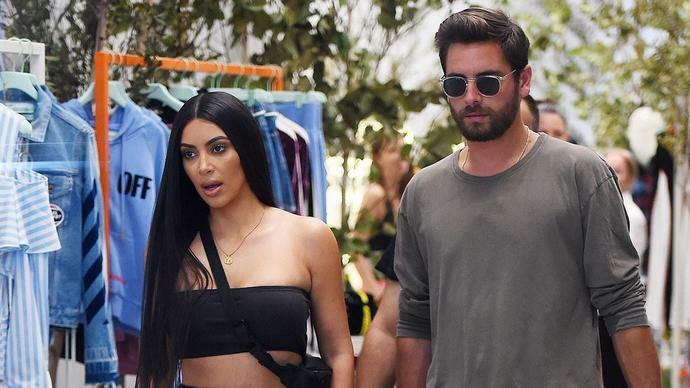 In a sneak peek of Sunday's all new Keeping Up With the Kardashians, the drama starts when Kris Jenner tells Scott, 35, that she wants to gift her best friend, Sheila Kolker, a face lift. "When I had my face done that was really a hard thing for me to go through. And who was there every single step of the way? Sheila," Kris, 62, says in the confessional after running the idea past Scott while out to eat. "It just occurred to me, she's wanted to do this for years, but this is just not something she would do. I want to do this for her and be there for her like she's always been there for me." Kris notes that she is "so excited" to be able to gift the plastic surgery to her longtime pal. "I want to jump up and down… It's just she's been such an amazing friend and she's just always there for me," Kris tells Scott, who shares three children with Kris' daughter, Kourtney Kardashian. "I mean even though it's really a sweet gesture, are you at all nervous that you could offend her in any way?" he questions. "Is it like, 'Hey, your face looks old'? Just think about it." Scott's warning gets in Kris' head and start "making me feel like this is a mistake and all I'm really trying to do is show her how much I love her." "Listen, if you told me that I needed something done, even if I didn't, I would definitely go stare at whatever that was," Scott explains, before Kris laments, "Kim does it to me 24/7." "Kim does it to everybody in the world!" he fires back. "She catches everything." "I don't even really like looking at Kim because sometimes she's like..." Scott continues as he mimics Kim looking someone over with a judgmental face. "It's scary, right?" Kris concurs. "She'll stare at us." "[She'll say] 'Is that a pimple right there? And I'm like, 'I-I-I don't know,'" Scott says.